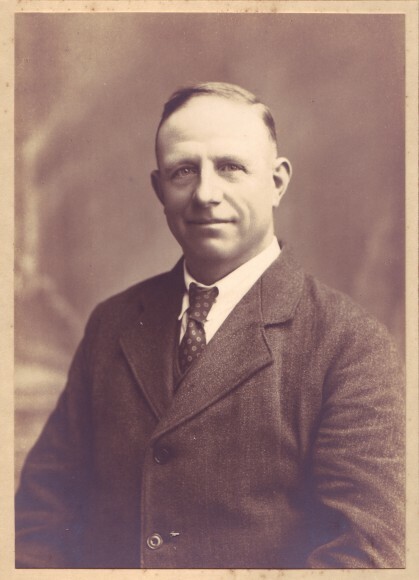 Ernest William Peverill farmed at Home Farm Whaddon from 1918 until 1953. 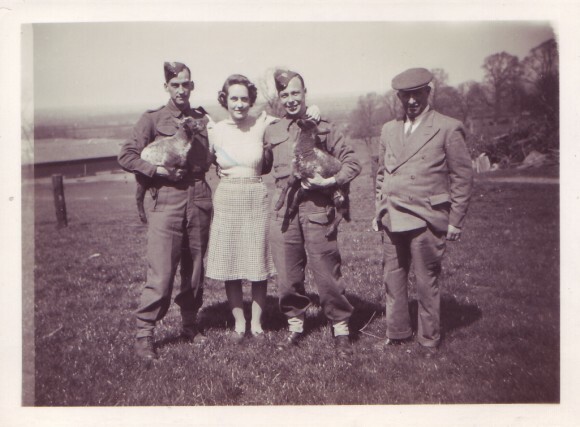 The farm was part of the Whaddon Hall estate and Mr. Tesh was the estate manager. 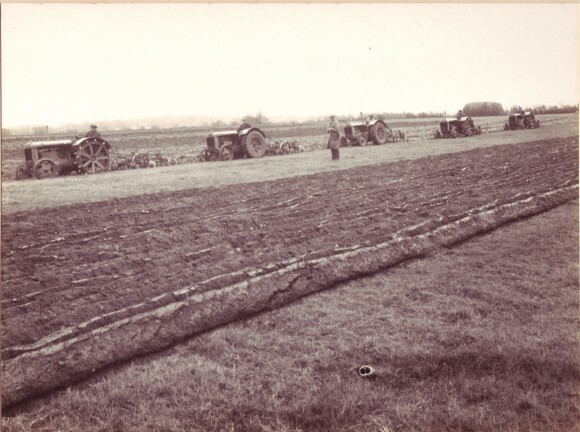 The farm was predominantly used for grazing cattle and sheep but during the Second World War the local War Agricultural Committee provided additional tractors to plough up the grazing land for crops. Seeing five tractors at a time was then a very unusual sight. 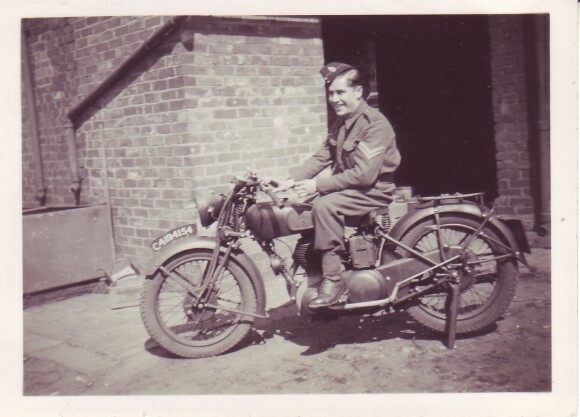 Several soldiers working in connection with activities at Whaddon Hall were billeted on the family one of whom was a dispatch rider – hence the motorcycle. Mr. George Brind on a dispatch bike. I was a boy of 11yrs in 1939 as war was declared. Flossy a bit older as I recall. 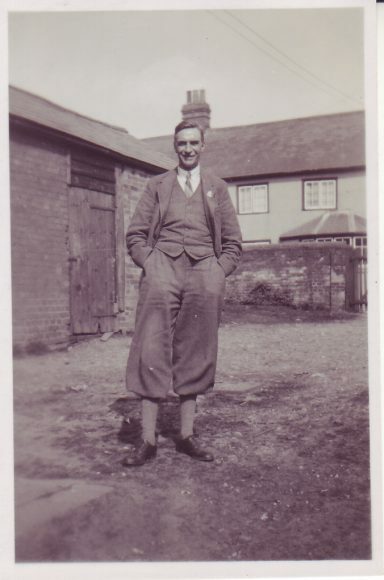 Mr Tesh was the estate manager and German he and his wife had a daughter Sheila. He inspired my love and interest in butterfly’s of which I still have a collection taken in the village and surrounding woods. I believe the Tesh family were subject to interment because they were German, if so, I wonder what happened to Sheila being about 12-13 yrs at that time. from Tomintoul in the Scottish Highlands.